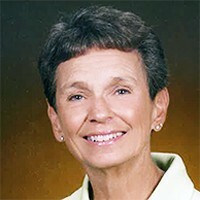 Swiggum, Tonette "Toni" of Prior Lake, MN. Born February 18, 1939 in St. Cloud, MN. Peacefully passed away at home surrounded by family March 14, 2019. Survived by husband of 58 years Robert; children Lisa (Bruce) Finkel, Pam (Steve) May, Jay (Chris) Swiggum, Nikki (Marty) Cloutier, Mark Swiggum; 12 grandchildren; 4 great-grandchildren; brother Jim (Jeanee) Colletti; sister-in-law Mary Sullivan; 3 nieces. Celebration service Thursday March 21 at 3:00 with visitation 1/2 hour prior with reception to follow at Cremation Society of MN, 7110 France Ave, Edina, MN (952)924-4100. Memorials preferred to Minnesota Alzheimer's Association. Private interment.